Clay Aiken – Lots To Do! One of the advantages to living in New York City is the opportunity to see the many Broadway shows that are in the city. 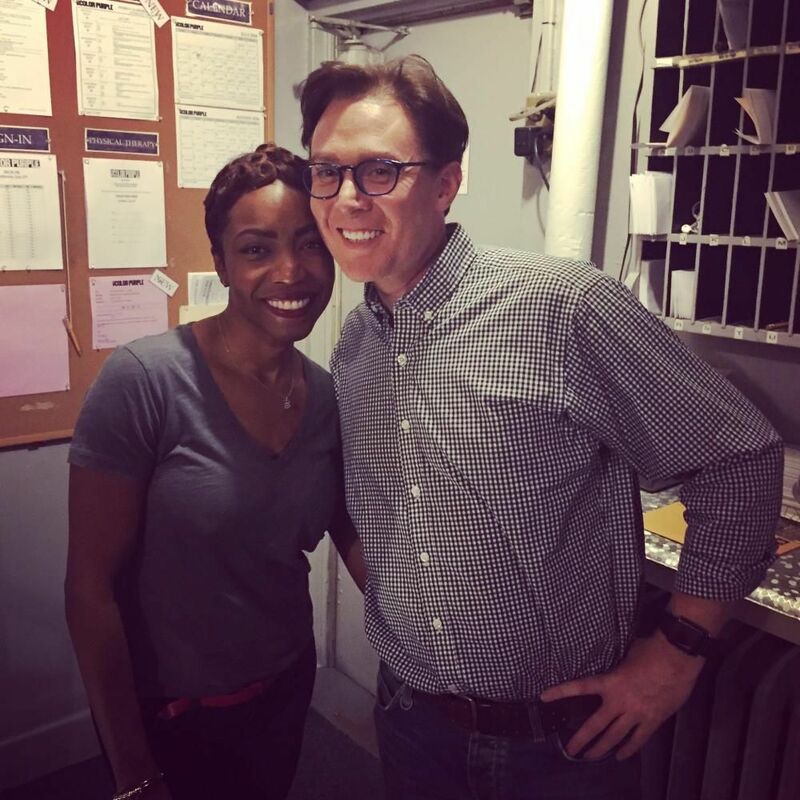 Clay Aiken certainly seems to enjoy visiting the shows and meeting with his friends backstage. Now, who wouldn’t enjoy that? Clay just had the opportunity to visit his friend, Heather Headley. She is playing the featured role of Shug Avery, a jazz singer in the show, The Color Purple. Clay had the opportunity to congratulate Heather backstage. Heather tweeted the following picture and message. It’s daunting doing a southern accent in a #southern musical for a #southerner but @clayaiken gave us his blessing! On Monday, Clay was in Los Angeles to be a guest on the Chelsea Handler Show. The show put 4 former stars from Celebrity Apprentice together and they discussed Donald Trump. It was interesting to hear 4 different opinions of Mr. Trump. Fortunately, there is a You Tube of this show. I hope we see Clay on TV again soon! Great Show! Clay, of course, was to the point about Donald Trump. I'm a little scared too, that he maybe elected. I only wish Clay had not acquired a potty mouth, it seems incongruent with his heart. He doesnt need it to make his point because he is so intelligent and unformed. Error: Error validating access token: Session has expired on Tuesday, 21-Aug-18 16:13:01 PDT. The current time is Thursday, 18-Apr-19 12:27:13 PDT.